R.J. was Cathryn's brother. 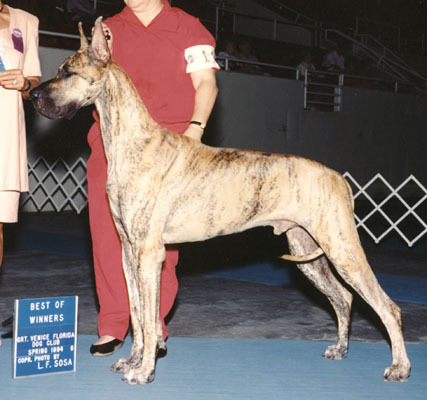 He was the product of Meg's grandson Raisin bred to Emily's granddaughter Grace. He sired Ch McEmn's Mathilde V Cigany (whose dam is Emmy), who has several major pointed and finished children.